Photos by Kevin Lakin, no reproduction without permission. 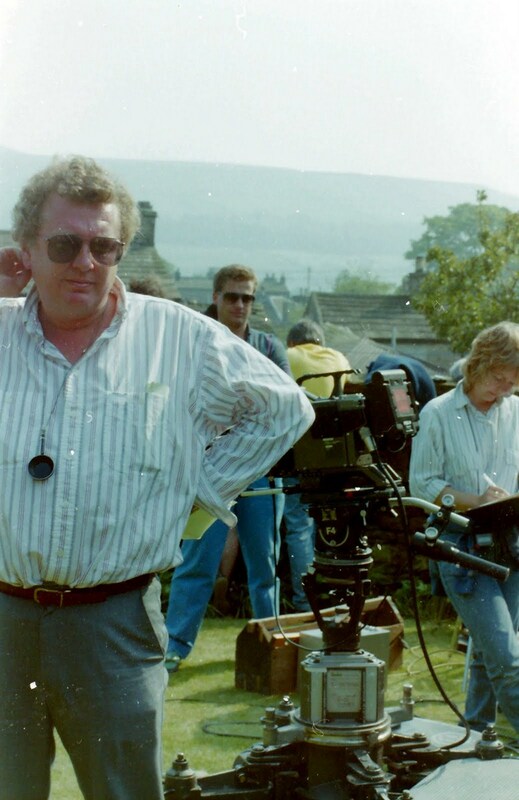 These photos are from ‘All creatures Great and Small’ I think from around 1989.. first pic John Kenway on camera… bloke in white shirt is Mike Brayshaw director… Barrie Foster camera assistant… then Bob Farr design… John Cole sound.. electrican, I don’t name… Girl in sunglasses is Helen Mays costume. A funny thing happened at this location, there was a tapping all the way through the take, there a big inquest were the the tapping was coming from 2 takes were ruined cos this constant tapping, sound man was going crazy. till it was discovered … it was a Thrush with a snail in its beak, tapping the snail on a stone, trying to break the snails shell. 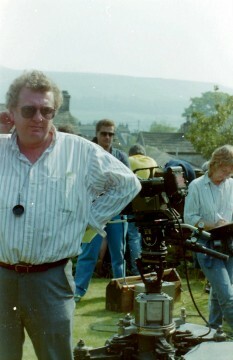 2nd pic is Mike Brayshaw the Director.